My words here honestly cannot express the peace and magnificence of Vancouver Island, my uber-dream home. We took the ferry from Horseshoe Bay (just north of Vancouver), into Departure Bay (near Nanaimo). Host to one of the world’s most diverse ecosystems, including rainforests, marshes, meadows, beaches, mountains, oceans, rivers, and lakes — Vancouver Island accommodates habitats for a plethora of wildlife species. The island proper is large and sparsely populated (and we didn’t even hit most of it, in reality — let alone the Gulf Islands). Nearly half of the island’s population lives in the capital city of British Columbia, Victoria. 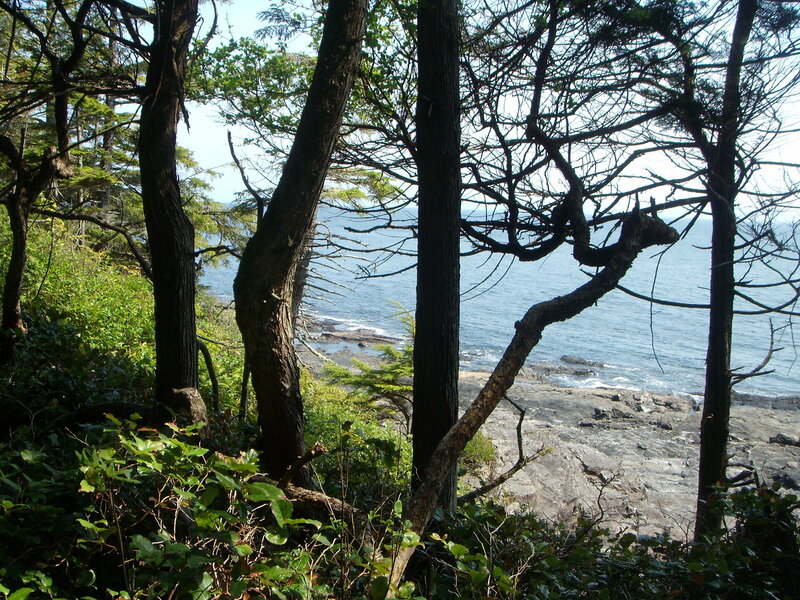 Thankfully, the island’s old-growth fir and cedar forests are well-protected. There’s nothing excluded for the lover of nature; Its ancient rain forests, rugged caves and beaches, leading down to crystalline bays of the Pacific (in which we were lucky enough to witness a whale’s spout … only) — the island’s beauty is unsurpassed. 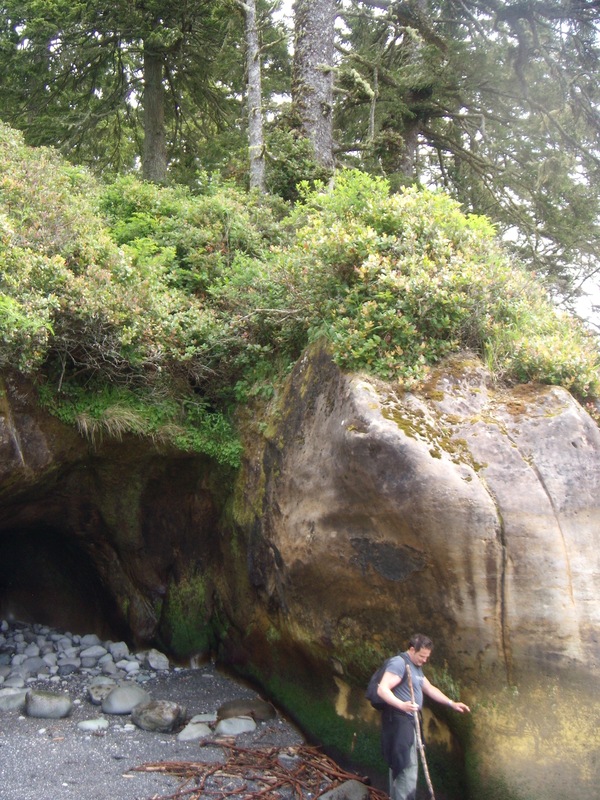 The majority of our hiking expeditions were concentrated along the Strait of Juan de Fuca, the region of the Coast Salish indigenous peoples. We drove up the West Coast, north from Victoria … and as we passed Sooke, most of our communications were lost. We stayed in a room among others rented by gruff visiting/working Russian fishermen — an interesting experience, to say the least. Itinerant working anglers are … interesting (did I use that adjective already?) folk. Perhaps they were simply in shock at seeing us board there, instead of at the B&Bs an hour north. But, we did learn from the locals that one needs special satellite service for one’s laptop (and for their TVs) … and even for cell phone service. As we were told: Feel free to hike out to the beach (through the woods) — at specific, ideal times — to access your cell phone service provider. Sure. A night-hike with the bears! At first we thought this was a grand joke on the Americans; but sure enough, on the far reaches of the beach we did get a bar or two, as if it mattered — heh. The hikes were astounding; the beauty of the forests leading down to the rugged oceanside, strewn with driftwood of all sizes; the small tree islands and caves dotting the landscape — we even found raw jade in some of these caves, before the water rushed in to cover up the remaining treasures. Although it wasn’t my first visit to the island, I was in tears leaving it this time around. I was profoundly impressed by the people who cared so very much for the land, and its care — unlike some of the parks and preserves I’ve visited in the United States, sadly (read: TRASH). Besides the obvious hiking and nature excursions available at the abundant parks and nature reserves, I missed the opportunity to visit and tour any one of Vancouver Island’s many vineyards — more than two dozen on the island support a healthy wine industry. Cheers! 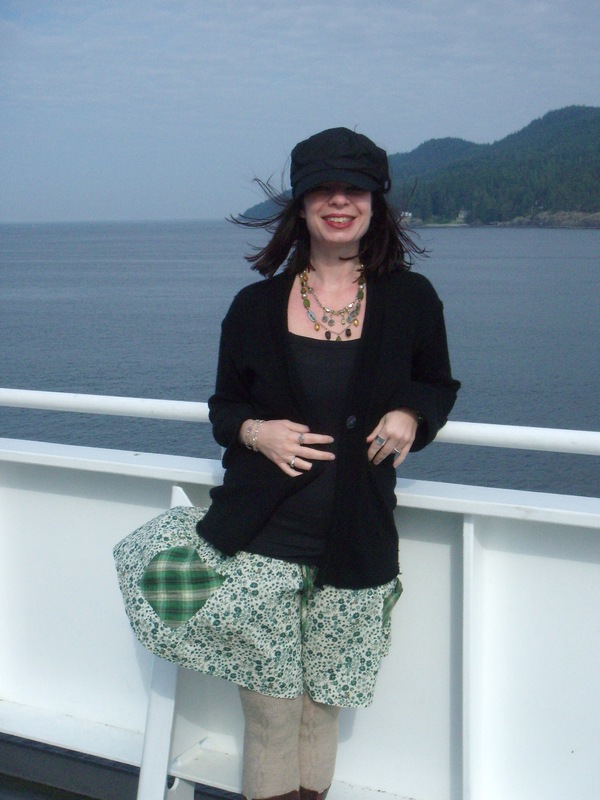 Vancouver Island also offers a rich, thriving art and craft community. Artists are drawn to the serenity and beauty of the island, but also to its rich history of Aboriginal arts and legends. By far one of my favorite artistic traditions — with their incorporation of animal, spirit, and nature — it’s actually eerily similar to the art of my own lineage, the Celts. 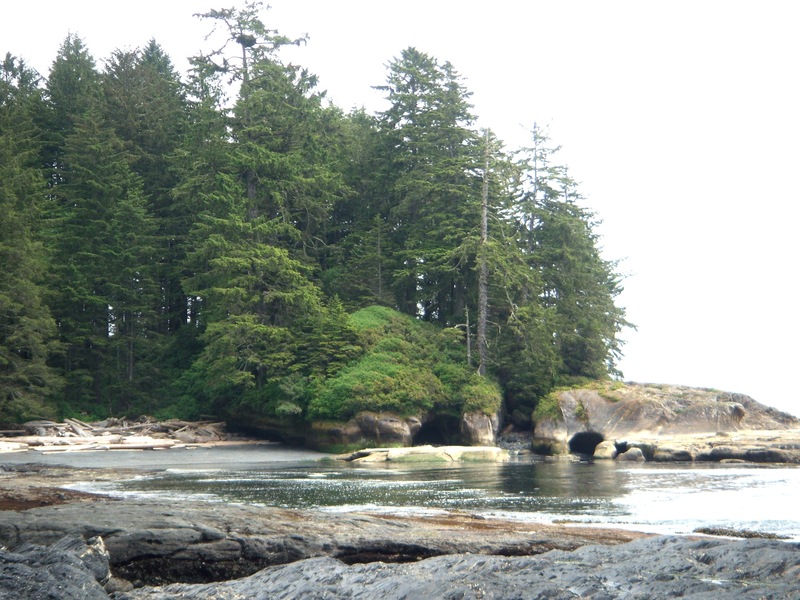 The Coast Salish, Nuu-chah-nulth, and Kwakwakawa’wakw have lived in permanent settlements along the island’s shores and within its valleys (and in the general region) dating back 9,000 years. Their elaborate art, created over the centuries, celebrate life’s rites and passages. But their story of “extermination, enslavement, insulation, amalgamation” (as outlined in 1841 as a solution in “dealing” with the Native Peoples) — and ultimately, widespread death (an extreme understatement) with the smallpox epidemic — is one that must be remembered and closely studied by all (in North America at the very least).